Peter (Warkworth, New Zealand) on 14 April 2019 in Lifestyle & Culture. 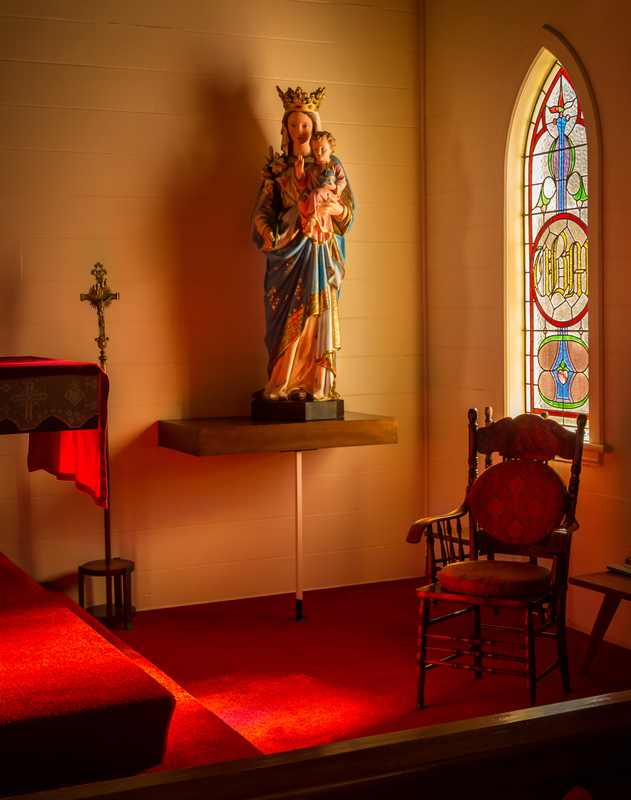 The interior of the Church of Peter & Paul at Puhoi has a warm tone with rich colors. With beautiful stained glass windows throughout dedicated to members of the local congregation who have passed on. The statuary in the building is colorful and interesting and the many stained glass windows are definitely very pleasing and worth an extended visit. @Shaun: Thanks Shaun, great comment. This is gorgeous. Beautifully photographed. The light and color is incredible. I love the stained glass window.